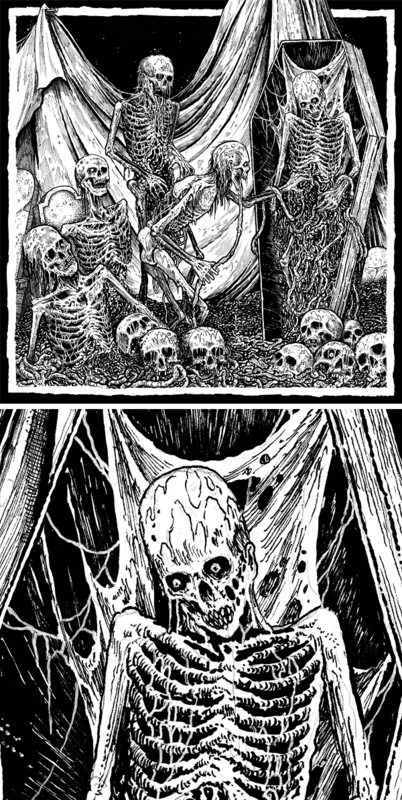 T-Shirt illustration for SKELETAL REMAINS (USA). If you like old PESTILENCE, OBITUARY, and GORGUTS then this band is an absolute must for you. I can’t get enough of them. Back cover artwork for the new HORRENDOUS (USA) full-length from Dark Descent Records (USA). 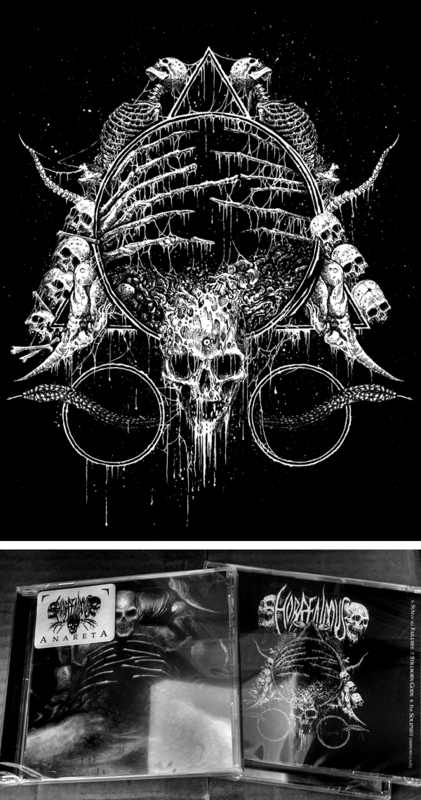 I’ve heard an advance copy of the album and it’s one of the best of the year; an absolute must-have for any death metal fan. 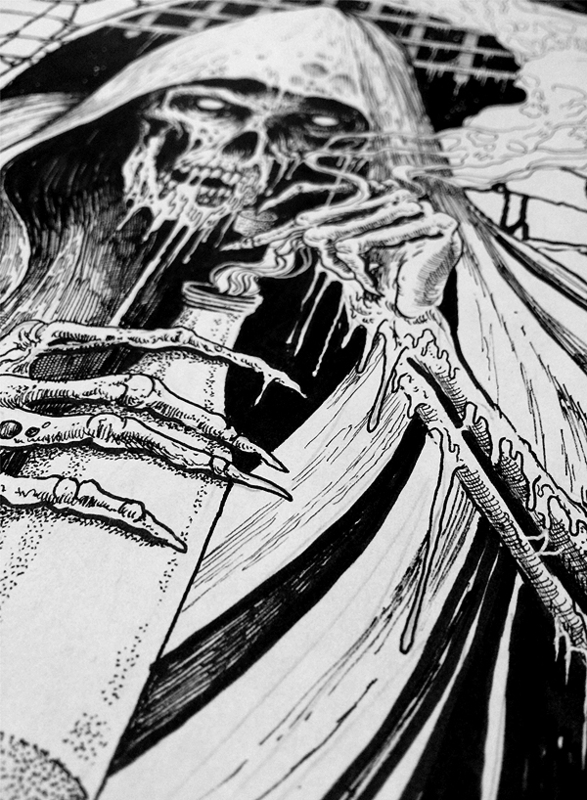 CADAVERIC POISON cover artwork in progress. This band features members of MASTER (USA) and WITCHBURNER (Gremany); check them out. Finished CD cover artwork for OFFAL’s (Brazil) next full-length effort, “Horrorfiend,” scheduled to be published by Razorback Records (USA). 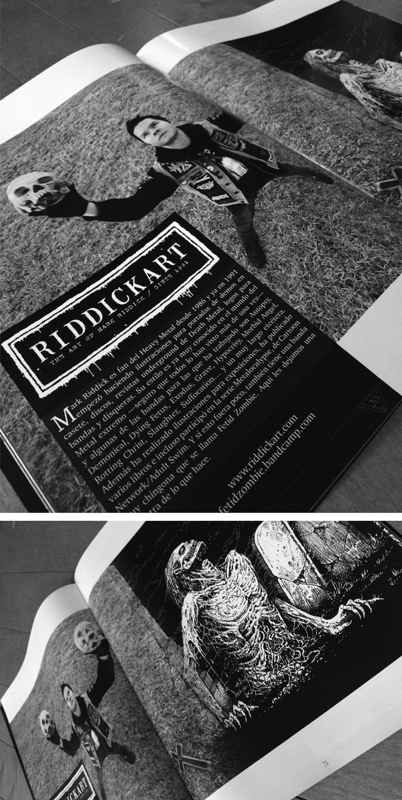 CVLT Magazine (Mexico) was kind enough to feature my artwork in the latest issue of their fine publication.